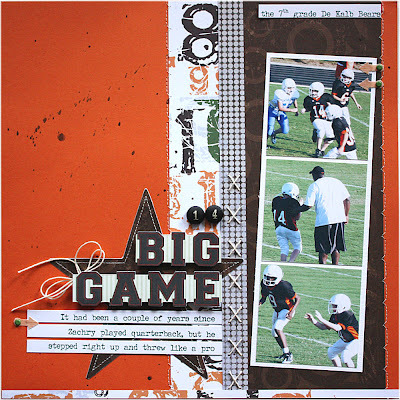 I did this layout as an example for my July Challenge over at BPM Forum. I pretty much design everything around the concept of odd numbers...you know, things grouped in 3's or 5's. 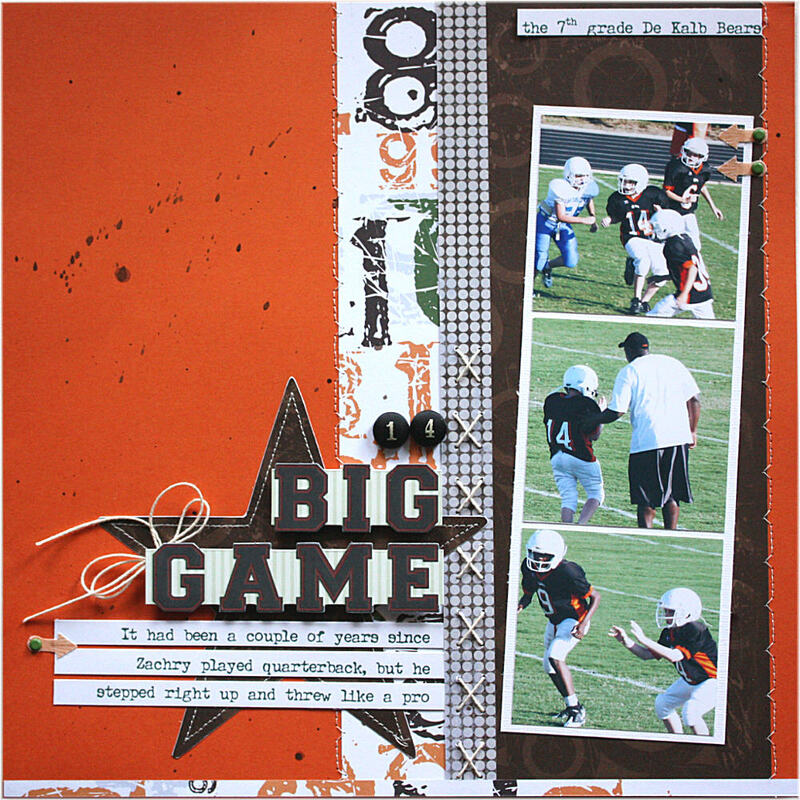 I find that the majority of my scrapbook layouts are done on the "triangle" theory. If you look at the focal point of the page, it should draw your eye to two other areas that form a triangle from that point. I guess I'm drawn to it mostly because I don't like a lot of jumble....whether it's in decorating my home or my paper! My 'eye' needs that resting spot; it invites people to easily scan over the page as it's meant to be presented. With this layout, I not only used the "triangle" design scheme, but I also used the "Rule of Three"
DO YOU HAVE PAPER ISSUES? I was asked to join the Paper Issues Creative Team. What fun! This place is super amazing...I love the projects that are featured during the week and the Linky Parties (where designers post one of their projects that pertains to the topic). Take a LOOK at the GRAND stuff that's up in celebration of July 4th! OMGoodness...so many things that I want to try myself...I'm so excited that I want to make one of everything WHEW! The Red Robin's Ruffled Crepe paper trim was featured at the Turtle Crafty Girl blog. 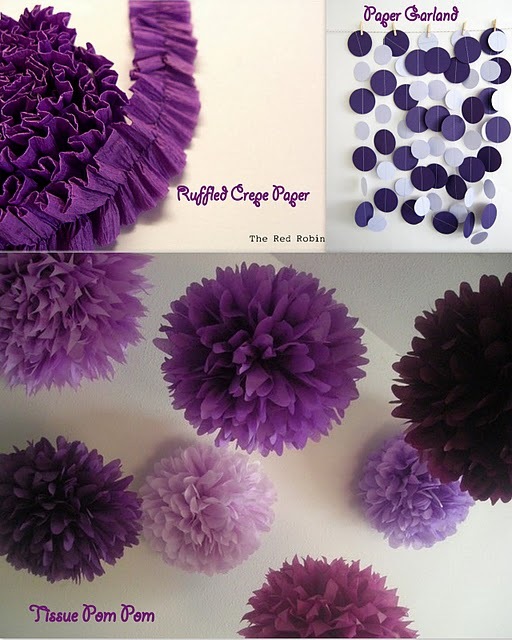 She did a feature of all things purple for Barney Party Ideas! Some really cool crafty things to buy and great finds from Etsy shops. I probably won't see you all before the 4th, so I hope everyone has a SAFE and HAPPY one! Hi Shellye I love your work especially the sewing detail. \you're a girl after my own heart!! I look forward to working with your on the PI team! thrilled to be part of the PI creative team with you and getting to know you better! Happy to be on the PI team with you! Everything looks wonderful on your blog - can't wait to create with you at PI! Congrats on making the PI team!!! I'm so excited to be working with you!! !